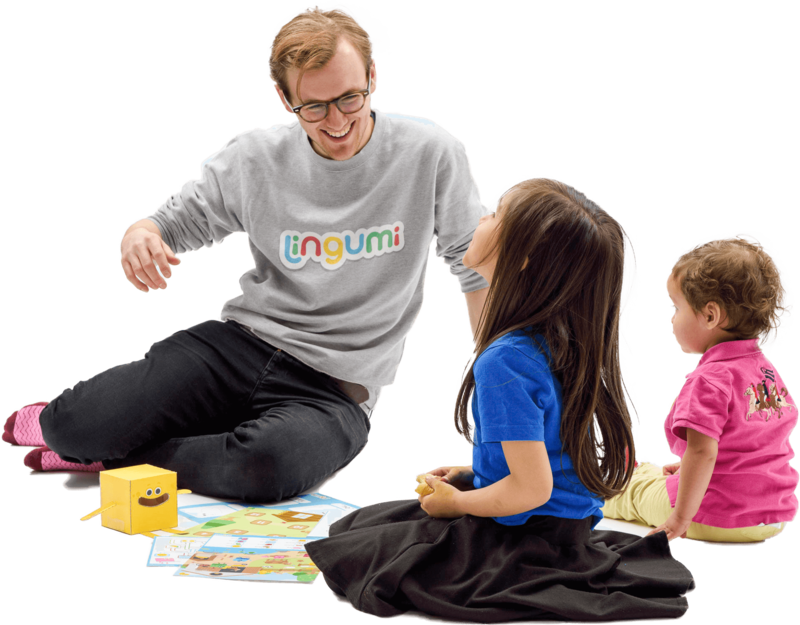 Learn more about the people and the story behind Lingumi. The idea for Lingumi started 5 years ago. "Working as an English teacher, parents often asked me, 'what can I do at home with the little one?'" I studied Modern Languages at Oxford, and am passionate about learning, and teaching, languages. From when I was a toddler, I wanted to be able to communicate with people from around the world. Working as an English teacher in Russia and Italy, I saw how hard children found it to begin English at 6 or 7 years old, in a group of 20-30. I had learned from my academic advisors that the best time to begin learning a second language is in early childhood, before the brain loses its amazing, absorbent ability to learn languages. You can read the full story in my blog post. Designed in the UK by teachers, linguists, designers and developers. The Lingumi App & Our Method are based on a combination of practical English teaching experience, and research from academics and experts from top universities, like Oxford. Our team, based in London and Cardiff, combines all of this research into the products that thousands of families love using to play and learn. We're a global team, proudly working from the UK. Ashley speaks several languages and has years of child education experience. She is a mother of one and lives with her family in Berlin. She's in charge of community support management for the Asia Pacific market.